“FRANK” is our 1975 Rolls Royce Silver Shadow 4 door saloon registered in 1975 and has a beautiful cream chassis complimented with stunning chrome and a sumptuous blue leather interior trimmed with walnut. This car has a wealth of space to accommodate any dress design and the ride will always be remembered as one of absolute style. A beautiful classic car, fitted with a traditional leather interior adding that extra luxury to your wedding car. 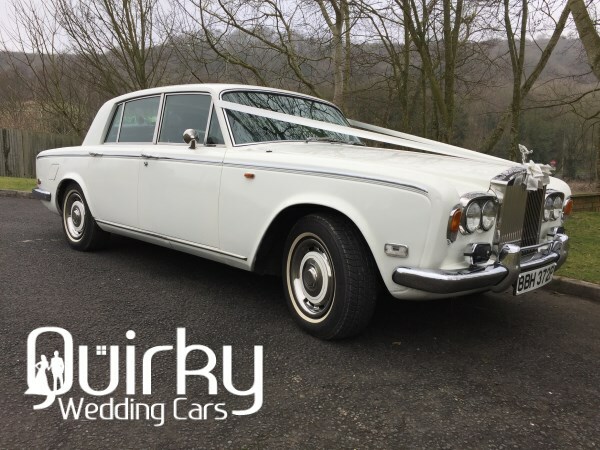 You won’t be disappointed if you choose our Rolls Royce Silver Shadow Wedding Car in Kent. This Wedding car is available for Weddings across Kent, please see our “Locations Covered” page for a detailed list of the areas covered.